it's the way we put your insurance policy together that really sets us apart! With the growth of the internet and price comparison sites, there are hundreds of insurance companies available at the press of a button. But how many have the experience we have? Mobile Homes Insurance Service is a family owned and managed business whose aim is to provide you with the excellent service you deserve. With over 40 years experience in the market we believe that our knowledge and expertise give us the edge over our competitors. Go for the cheapest company and you may discover that what they charge as extras we offer as standard. With cheap insurance, savings have to be made somewhere and it is usually at your expense when it comes to making a claim. Our priority is not selling insurance, it's a satisfied customer. We work with you, not for you, which we feel makes all the difference in achieving the correct amount of cover at a price that is right for you. At Mobile Homes it's the way we put your insurance policy together that really sets us apart. We offer high quality Park Home Insurance , Static Caravan Insurance , Chalet Insurance and Lodge Insurance whether they are used as a holiday home or as a permanent residence. We are also one of the few companies in the country who are able to consider offering cover for units located on private land, as opposed to residential or holiday sites. We provide specialist Touring Caravan Insurance , Trailer Tent Insurance and Folding Camper Insurance , whether they be stored at your home address, in a specialist compound or even seasonally or permanently sited on an open pitch. If you are a site owner, our commercial team can arrange comprehensive combined site liability insurance policies for your caravan or residential site. 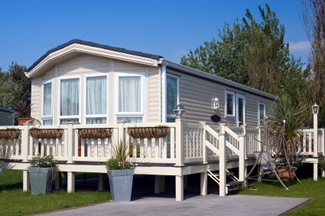 Insuring your Static Caravan, Touring Caravan, Park Home or Lodge is not a legal requirement. However, as with regular household cover, you may find yourself in an unpleasant situation, should you suffer a significant loss. If your home was written-off in a violent storm, could you afford such a loss? Do bear in mind that it is not just the loss of the home you will need to think about. A site owner would charge you for debris removal and resiting/delivery costs for a replacement and these are costs that insurance policies cover, as well as the home itself. You must also consider that Mobile Homes in general are not as resilent as a bricks and mortar house. For example, Touring Caravans are much more vulnerable to the elements than a house would be. We dealt with a number of claims for Touring Caravans that were significantly damaged by hail a couple of years ago in leicestershire. You will also find that the vast majority of mobile home sites, both residential and holiday, and storage compounds insist as part of their site rules that you must be insured for at least third party liability cover. That is to say, you are insured should there be any third party property damage or personal injury as a result of the siting of your mobile home and you are proven to be negligent. Which one of your Policies is suitable for me? Here at MHIS, we offer a number of Policies depending on what you need. If you own a static Mobile Home and use it as either a second home or a holiday home, our Holiday Home Insurance Policy is suitable for you. This Policy offers Static Caravan Insurance , Leisure Lodge Insurance , Chalet Insurance , Park Home Insurance and just about any other unit used as a static holiday home. If you live in the Mobile Home and use it as your main permenant residence for 12 months of the year, you will be looking for our Permanent Residence Insurance Policy. Similarly to our Holiday Home Policy, this Policy offers Static Caravan Insurance , Leisure Lodge Insurance , Chalet Insurance , Park Home Insurance and just about any other unit built as a static mobile home that is lived in permanently. If you own a caravan that you keep on your driveway and tour on the road, or leave on a touring pitch during the season or even all year round, our Touring Caravan/Trailer Tent Policy is the one for you. 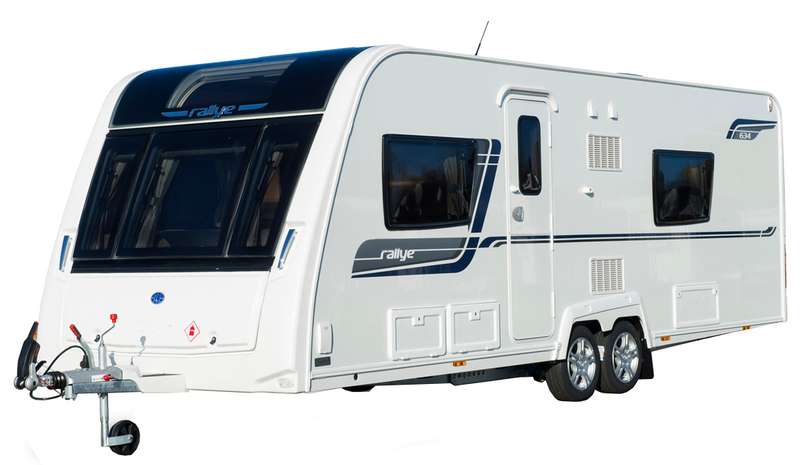 This Policy offers Touring Caravan Insurance , Trailer Tent Insurance and Folding Camper Insurance and will cover your van when it is in storage, out on the road and whilst it is on its holiday pitch. It even covers you whilst you are overseas! What exactly am I covered for? Primarily, all of our Policies insure the Mobile Home itself. However, our Policies also have the option to cover you for Contents Insurance, Delivery and Resiting Cover, Third Party Liability Insurance and various other options depending on what you need. If you click one of our product links below, you should find everything you need to know. If you have any queries, please do not hesitate to contact us and we will be delighted to help.